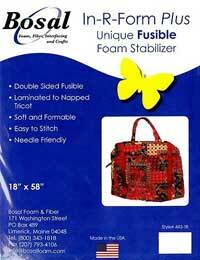 This interfacing from Bosal is a double sided fusible foam stabilizer and is laminated to napped tricot. 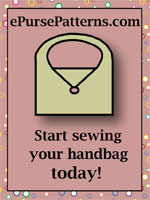 This interfacing is soft and formable, easy to stitch and needle friendly. 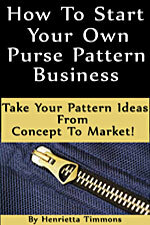 Package size is 18" x 58" and is great for craft projects. 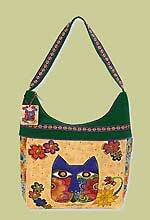 The Zip 'N Go Totes 2 Pattern by Quilts Illustrated uses this interfacing.